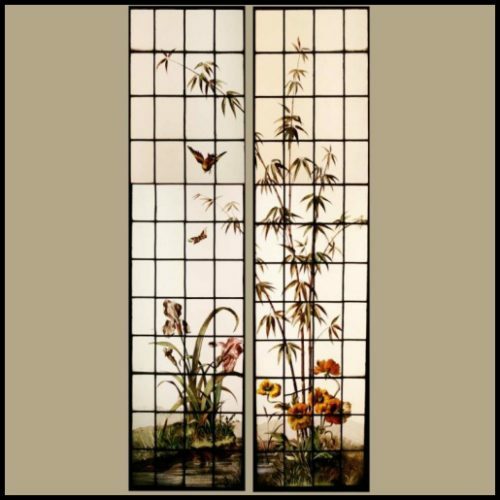 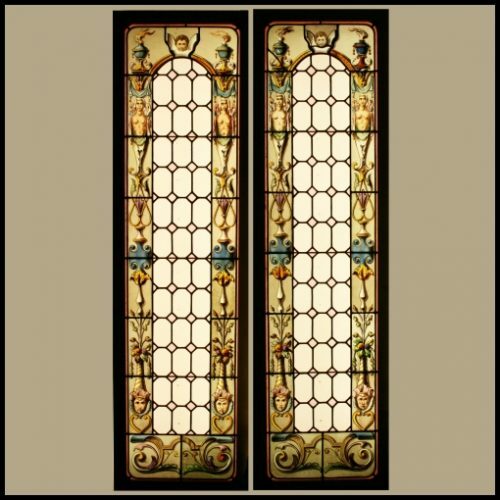 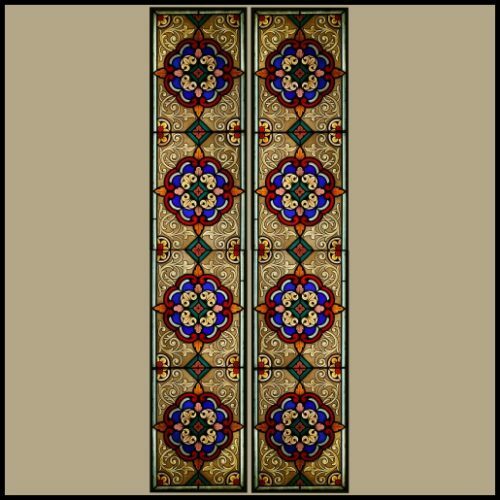 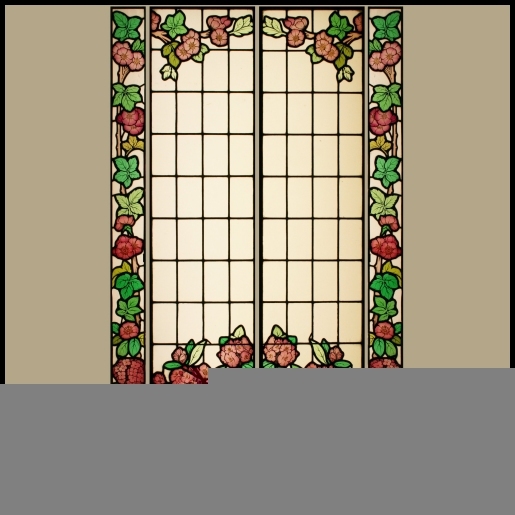 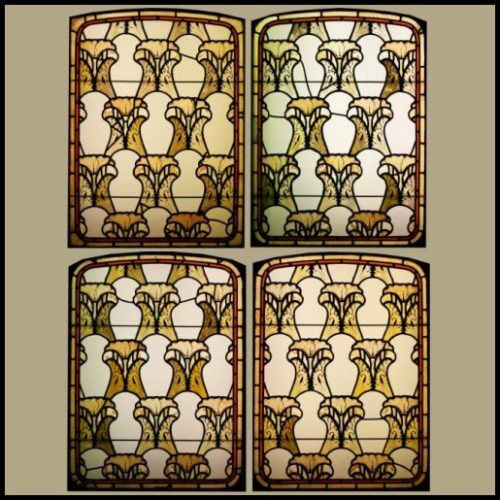 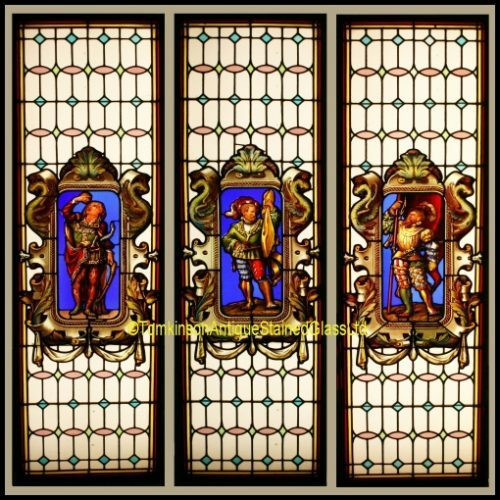 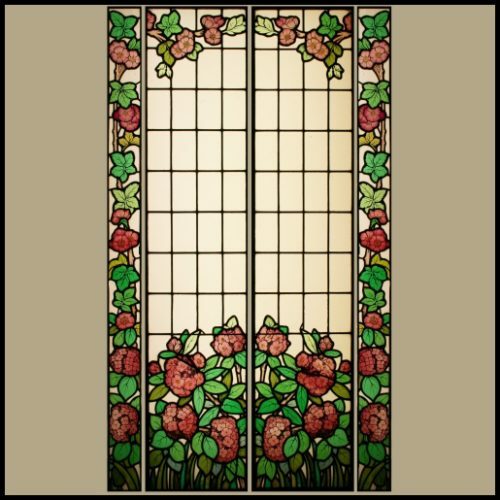 Decorative set of 4 French antique stained glass window panels, c1910. 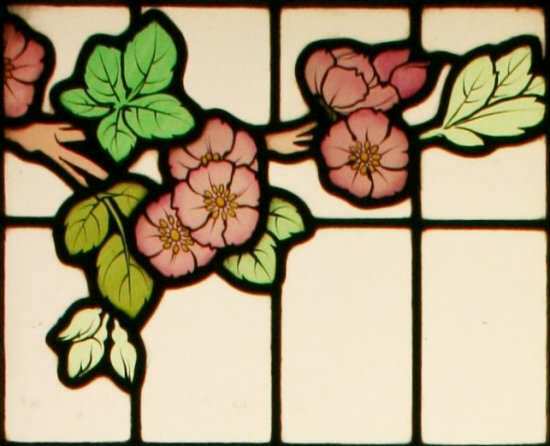 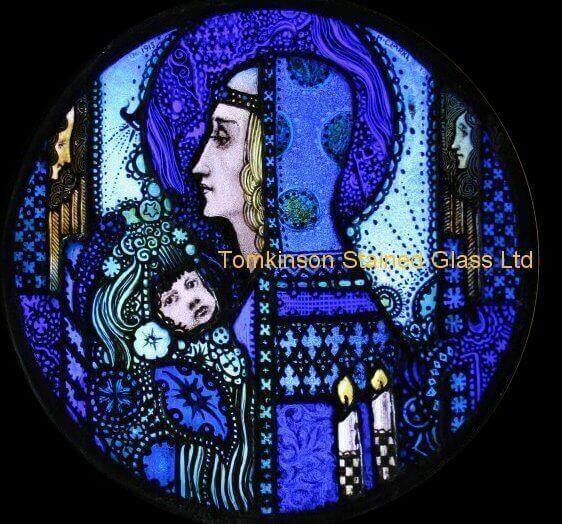 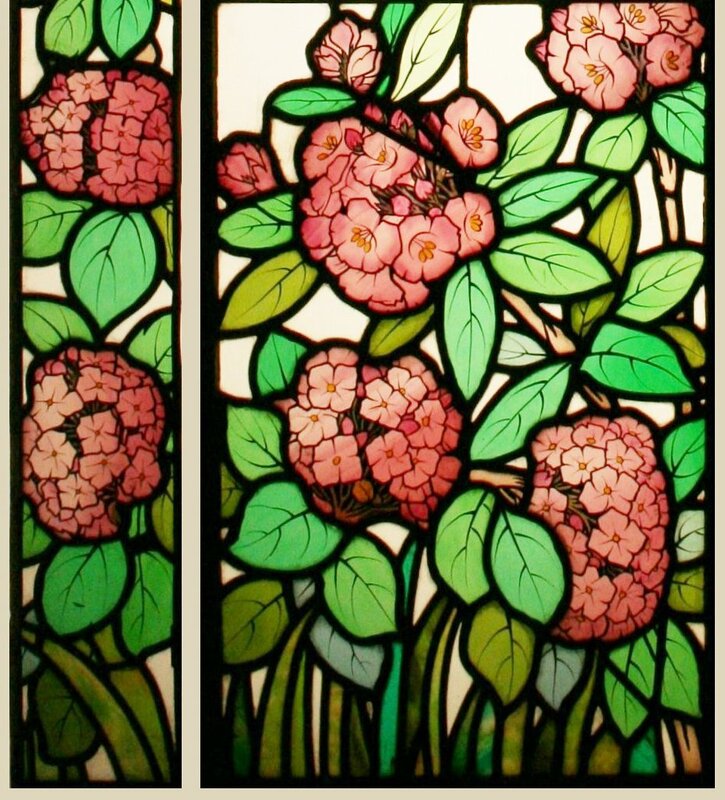 Each leaded with clear & hand painted glass depicting Hydrangea flowers and above branches of Apple blossom. 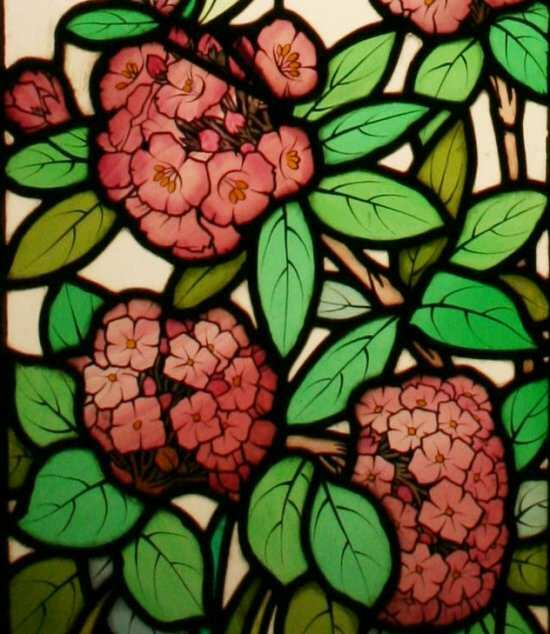 The painted flowers are backed with white opalescent glass that gives the flowers rich deep milky colour. 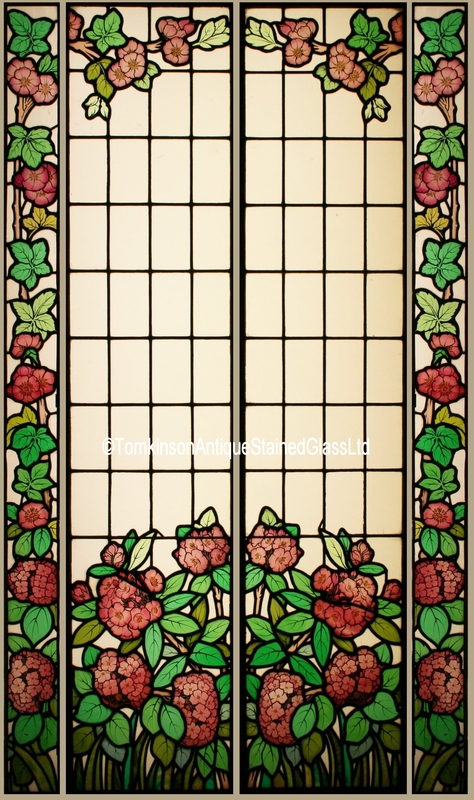 Slight lead strap restoration which has kept the panels in original condition, also their original metal frames.